Light the Christ candle. Light only two of the purple candles. 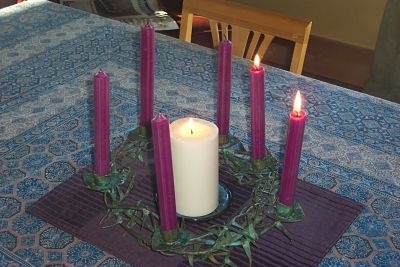 Question: Why do we light only two purple candles? times not kept our eyes on Jesus. Reflect: Who are some of the saints for you who are witnesses to Christ? has this occurred in our life of faith? Pray: Help us to be faithful witnesses to You. Amen.